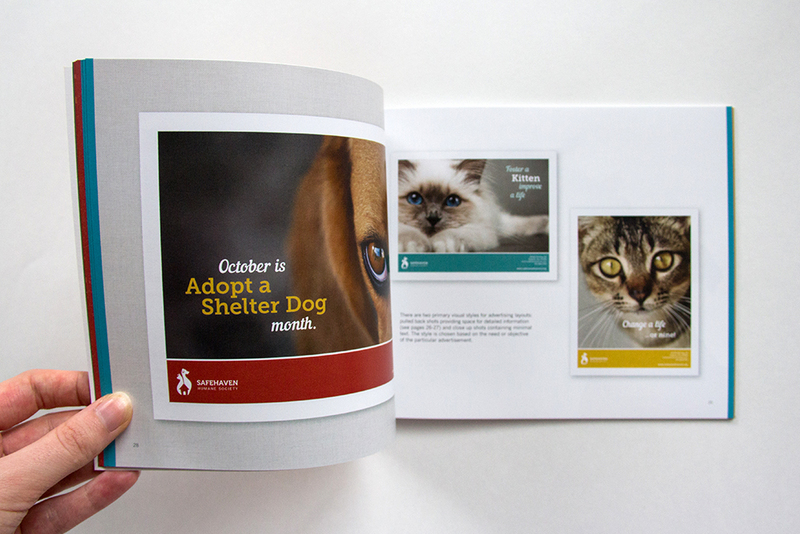 This project was a rebranding concept that I produced for a local humane society called SafeHaven. 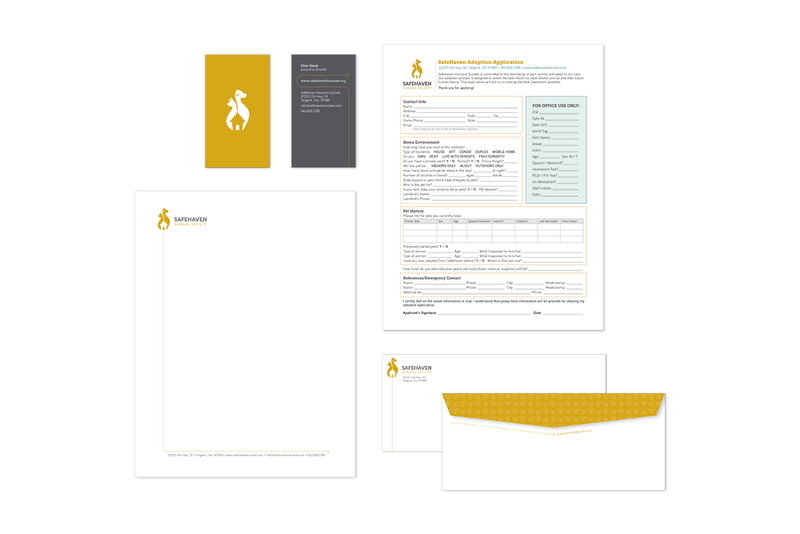 I put together a brand book complete with organization background information, the new brand assets, and guidelines for correctly implementing the new brand. 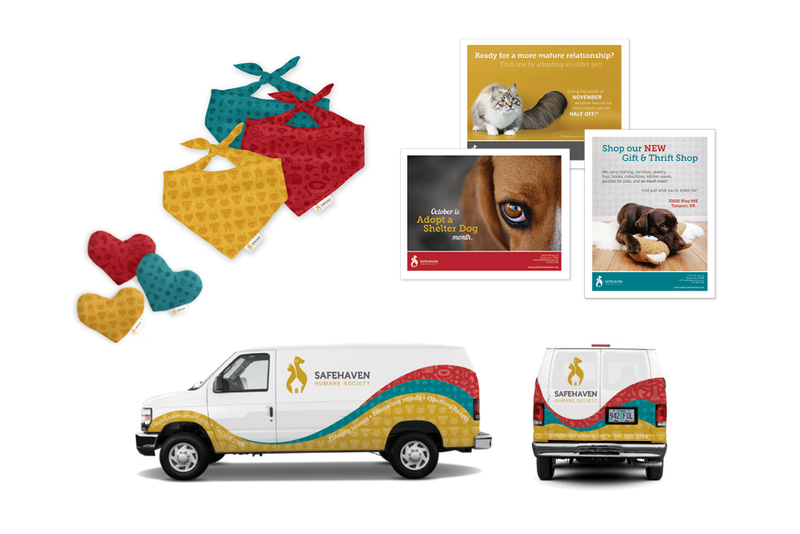 Resulting brand collateral included a logo, letterhead, business card, adoption form, van, pet accessories, a website, advertising style, and brand patterns.